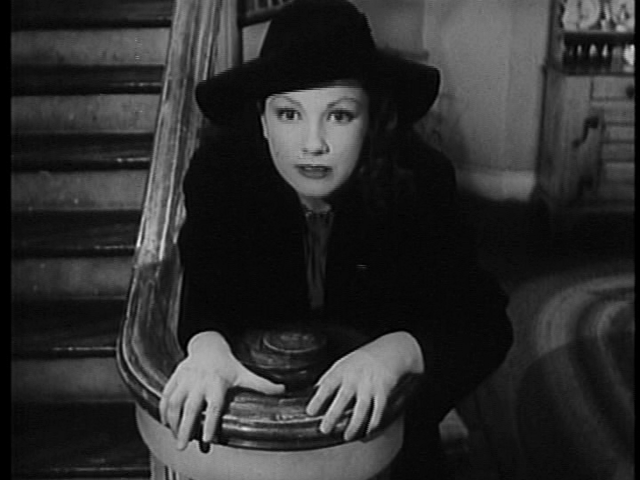 Anyhow, the title is abysmal, carrying with it no promise of mystery or tension or even basic drama (STRANGER IN THE HOUSE would have worked much better, and made sense), although the film’s re-issue title, SATAN IN SKIRTS, works as pure camp. The movie is impure camp, not quite silly enough to dismiss out of hand, far too outrageous to take totally seriously. Some years before playing the artfully concealed embodiment of Evil in ALL ABOUT EVE (isn’t that character supposed to be based on Lizabeth Scott? One hopes not! 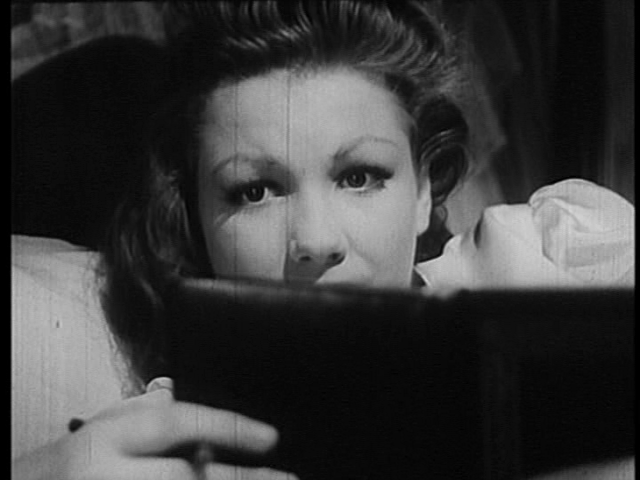 ), Anne Baxter is seductively sinister as demented bunny-boiler Evelyn, due to marry the young doctor son of a nice upper-middle-class American family. Anne maybe never looked more glamorous, her wickedness adding to her allure and her obvious youth and radiant good health clashing intriguingly with her role as an invalid with a weak heart. Since “Doctor Dan” has to go off and earn a living, Evelyn is assigned the guest bedroom in the home of Ralph Bellamy and Ruth Warrick, where she sets about poisoning the minds of everybody and breaking up the happy marriage. The film has a decidedly conservative side to it, with the sick outsider viewed as purely malevolent, while middle-class family values are to be preserved at all times, but there are some intriguing fractures in this scheme. One reading would see the household as deeply flawed, just waiting for an Iago plot device to set its disintegration in motion. Certainly everybody’s all too willing to suspect the worst in everybody else. The cast is so strong, while avoiding any hint of the A-list, that they’re worth working through in some detail. 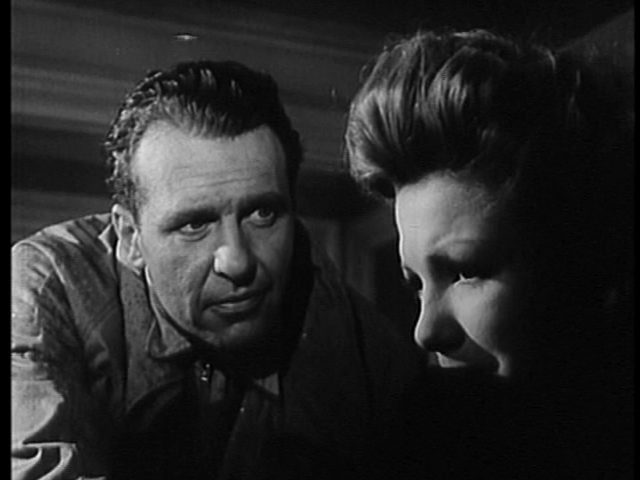 Ralph Bellamy — was ever an actor so apparently unpromising, actually so versatile and impressive? His everyman looks seem to cut him out for an endless succession of thankless hero’s-best-friend roles, but Bellamy was memorable as comedy schnook in HIS GIRL FRIDAY, tender romantic rival in HANDS ACROSS THE TABLE, satanic gynaecologist in ROSEMARY’S BABY and millionaire comic villain in TRADING PLACES — there’s nothing he can’t do. Here he’s a can-do commercial artist who slips into sullen alcoholism and neurosis with the slightest of pushes, and he’s sympathetic and individual all the way. 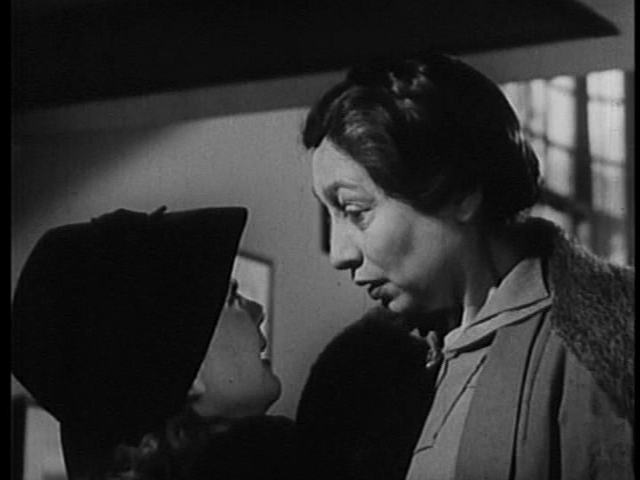 Ruth Warrick is much more likable and natural here than in CITIZEN KANE, which isn’t a question of her having grown as an actress, just that she’s skilfully playing a more likeable and natural character. 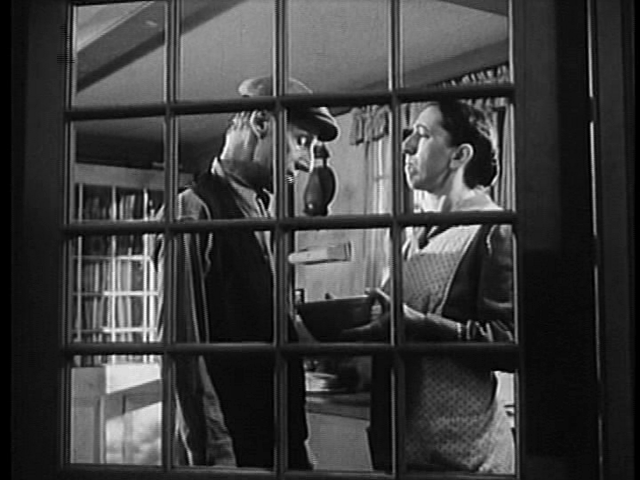 Deep joy comes with the presence of Percy Kilbride and Margaret Hamilton as servants. Hamilton, the Wicked Witch of the West, is always good value, but Kilbride is an underrated demi-god of the silver screen. Watch him fail to make a fist in FALLEN ANGEL, slapping a limp wrist into his palm to express his steely indignation! 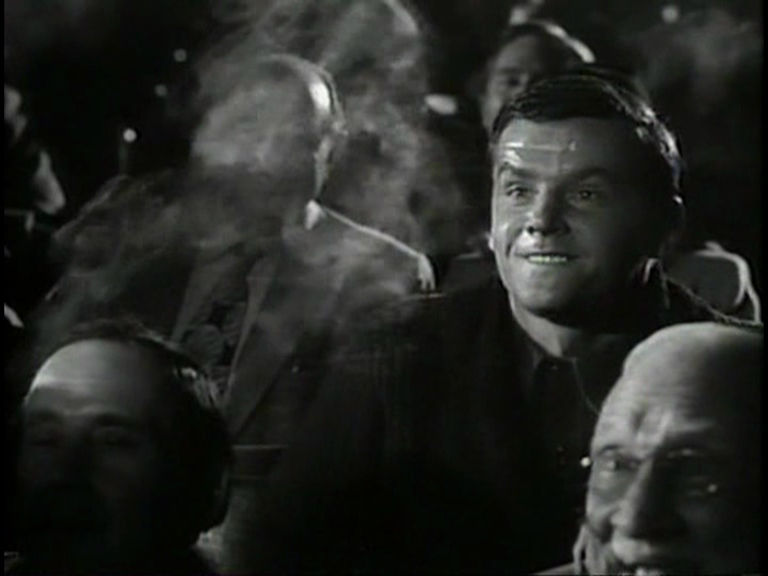 Watch him perform the world’s most awful wedding ceremony in THEY LIVE BY NIGHT. A withered noodle soaked in melancholia and left to dry on the chipped counter of a hardware store, he’s an invaluable addition to any film, especially one that might otherwise be too exciting. I love him like a wonderful dead uncle. And then there’s Aline McMahon! What is wrong with America that this great matriarch was never elected to high political office? With her lovely amphibian countenance, eyes limpid as poached eggs, she exudes the wisdom of the ages, along with compassion and strength. She could make economic troubles fade with but a wistful smile, end wars with a quip. 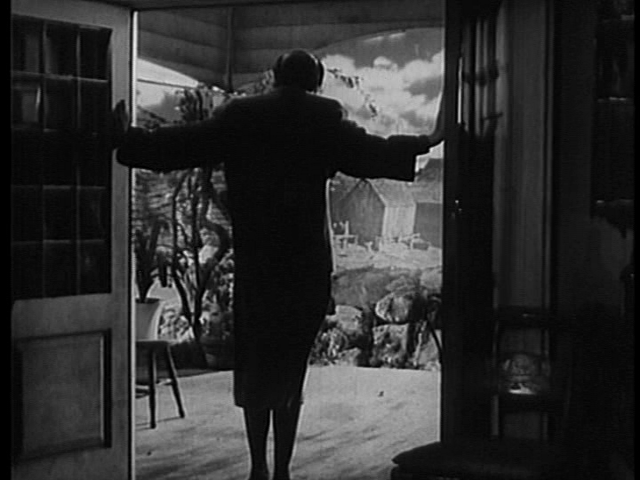 “Why you’re nothing but a mean old woman,” remarks Jimmy Stewart in THE MAN FROM LARAMIE. “Ugly, too,” she agrees, affably. John Brahm directs with his customary zeal and delirium (Andre DeToth also contributed, according to the IMDb) and makes the most of a magnificent set, where most all of the film takes place. The titular house is attractive and spacious, but very low-ceilinged, which allows for unsettling angles and an oppressive feeling when required. 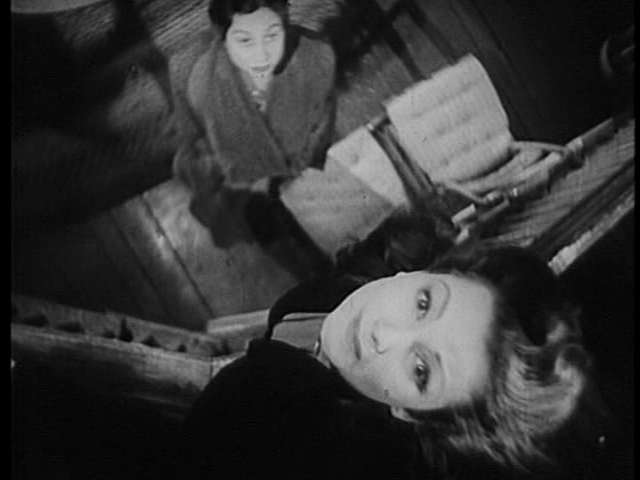 The movie is a masterclass in interior filming, with shots split-screened by doorways, gliding smoothly from one space to another, regularly surprising us with new unusual angles. At the climax, McMahon, a watchful presence throughout, comes into her own in an “all women are bad” plot turn, and Brahm pulls one of his customary freak-outs, jolting the camera around and smacking us with alarming high angles, as Baxter, her lid flipped for permanent, staggers around in terror of imaginary canaries. It’s giddy, kitsch and highly imaginative stuff — prime Brahm! Seems to me only Brahm would have tried a crazy composition like this — THE LODGER is full of them, generally at play upon the outsize kisser of Laird Cregar. Pulitzer-prize winner Ketti Frings scripted (she wrote the story for the magnificent HOLD BACK THE DAWN), which is a worry considering the traces of misogyny, but there’s some wisdom too. When family friend Jerome Cowan shows up and INSTANTLY diagnoses the neurotic true nature of Anne Baxter’s little schemer (and, doubly impressive, he does it without smoking a pipe) he points to the manipulative tendencies of the invalid. It’s not completely unfair. Of course, sick people can be manipulative — relying as they do on healthy people for their care and comfort, emotional as well as physical, the only power they can exert to get their way is through first, polite requests then, if that fails, emotional blackmail. It’s only human. Admitting that much, it’s still a bit harsh to portray a neurotic invalid as a horror-movie monster, especially when one’s natural impulse is to side with the stranger being introduced to a new family (double-bill this with MEET THE PARENTS, for much-needed balance). 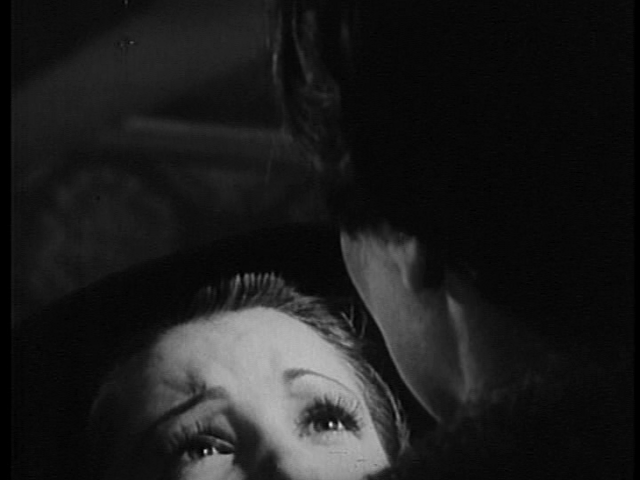 This kind of problem niggles away at most of the Brahm films I’ve seen, eroding their greatness (THE LOCKET is maybe the most fully satisfying, ending aside) but I like what he does with the camera so much I’m going to continue to seek out his stuff. Right after I buy a new Thrillometer.